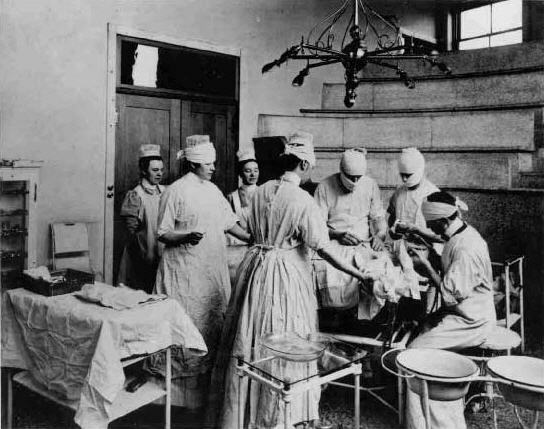 This photo from 1913 shows a patient undergoing surgery at St. Luke’s Hospital in Chicago. St. Luke’s would later merge with Presbyterian Hospital and become part of Rush University Medical Center. This entry was posted in Rush Archives, Uncategorized and tagged Chicago history, Rush Archives. Bookmark the permalink.